It has been announced on the news this week, that a record number of 10- & 11-year olds in England are “severely obese”. 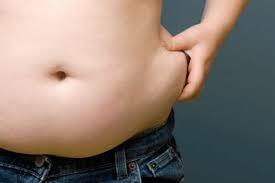 One in 25 children in year 6 primary school are now so overweight that they are being classified as Dangerously Obese. The National Child Measurement Programme recorded their annual findings. Severely obese children indicate that the individuals have a body mass index on or above the 99.6 percentile for their age and gender. This is a rise of a third more children than 2006/7. The proportion of reception-year pupils who are overweight or obese has fallen slightly over the last year by .02%. Public Health England warned that children were too heavy were most probably suffering from poor self-esteem, bullying or stigma when young. 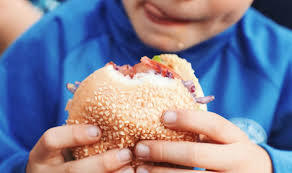 These children will most probably develop into overweight/obese adults and increase their risk of getting heart disease, type 2 diabetes and some cancers. Obesity of course, cannot be reversed overnight. The problem has taken decades to reach his point. The tax on sugary drinks in April has seen sugar levels in many products cut and the money surplus used to fund school sport and healthy breakfast clubs. Teresa May has pledged to halve childhood obesity by 2030, even though medical and public health bodies and health charities believe the government plans simply do not go far enough. Surely the focus remains with the parents to teach their children what is right and wrong. The choice of fattening foods on offer is outstanding but it’s the parent’s job to show their children what is good and bad for them, on a daily basis and for their future.